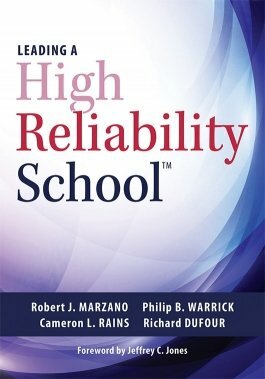 How do educators build High Reliability Schools™ (HRS) and boost academic achievement? By implementing interdependent systems of operation and performance assessment for student-centered learning. A critical commitment to becoming an HRS is the PLC at Work® process of collaborative learning and teaching. This user-friendly teaching resource focuses on: (1) a safe and collaborative culture, (2) effective teaching in every classroom, (3) a guaranteed and viable curriculum, (4) standards-referenced reporting of student progress (standards-based grading), and (5) a competency-based system. Increase school effectiveness through a focus on student-centered learning and the implementation of research-based leading indicators of operation. Monitor effective practices through the use of lagging indicators and quick data sources. Explore the three big ideas associated with the PLC at Work® process to implement student-centered learning, collaborative teaching strategies, and data-driven instruction. Engage in periodic reflection on effective school leadership and instructional coaching practices. Understand how to balance and achieve school and district goals using data to improve students' academic achievement and college- and career-readiness skills.